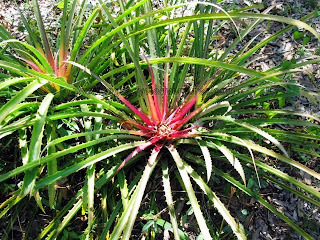 Bromelia karatas as a species is typical for the Mexican plants in the genus. 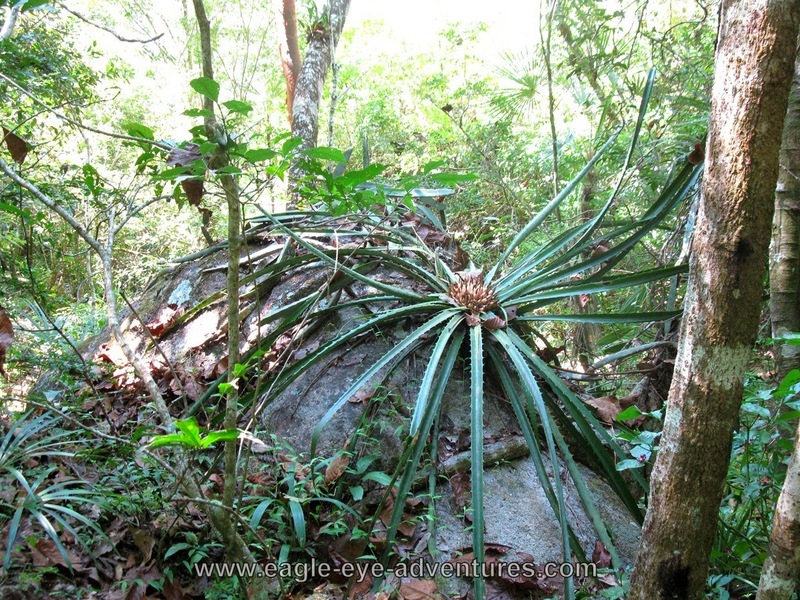 Spread from Mexico south into Brazil, the genus is known for being terrestrial and having spines that can do some damages if you tangle with them. 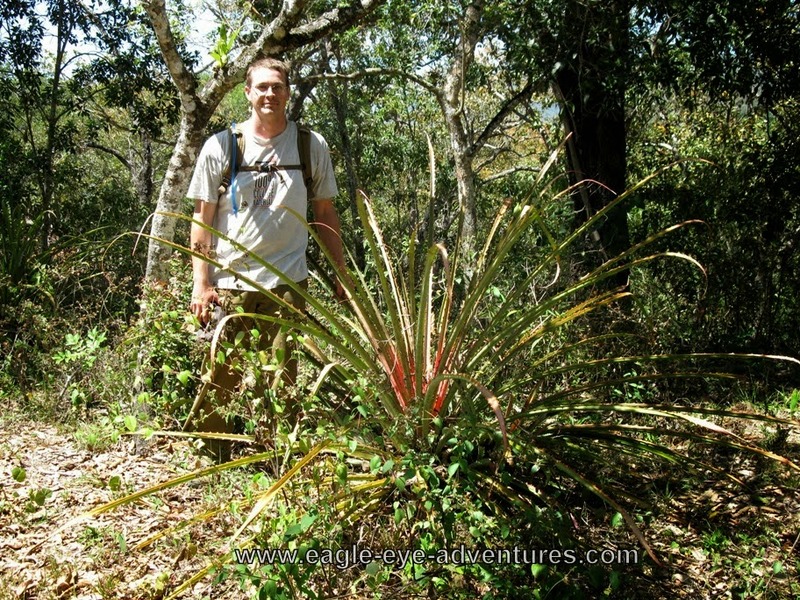 Most of the Mexican species are fairly large with leaves 3-6' long. 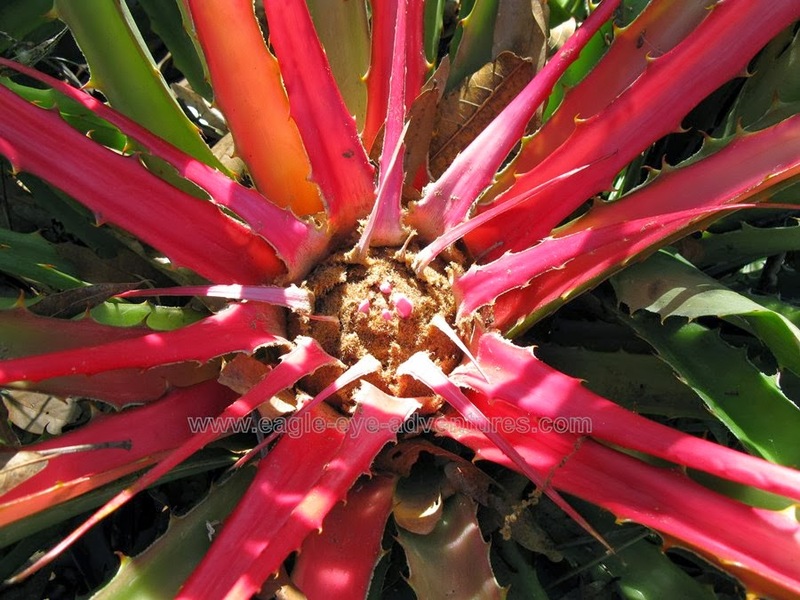 Some species in the genus, like Bromelia pinguin, will produce their inflorescence on a stem, B. karatas will flatten its rosette of leaves and start flushing a brilliant pink to red color. 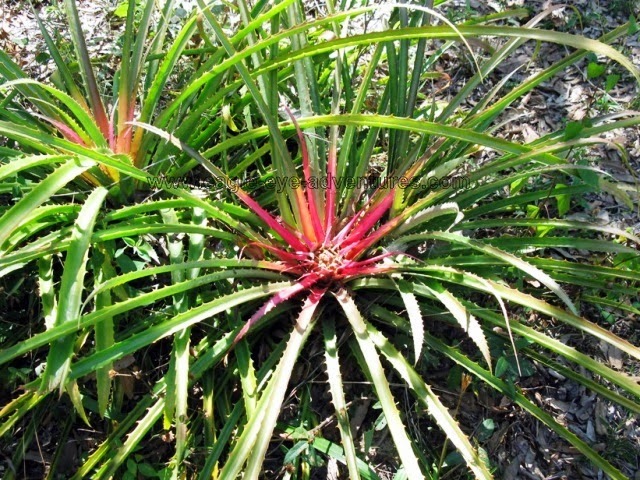 The normal growth habit of the plant is to make a dense rosette of leaves held in a lax to almost erect arrangement. When growing in a clump with most of the leaves tightly packed you can get an idea of how big they really are. 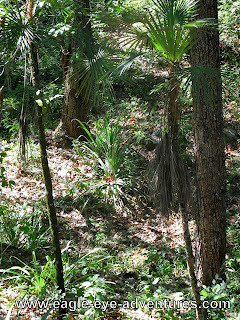 The clump to the right was as tall, if not taller than me (6' 2"). 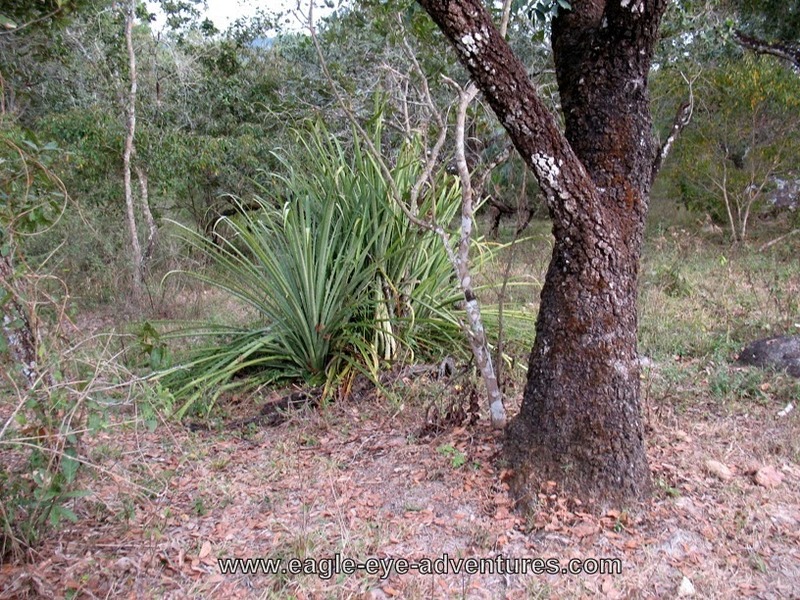 Even though this was in a oak forest pasture, clearly the cattle left this plant alone! 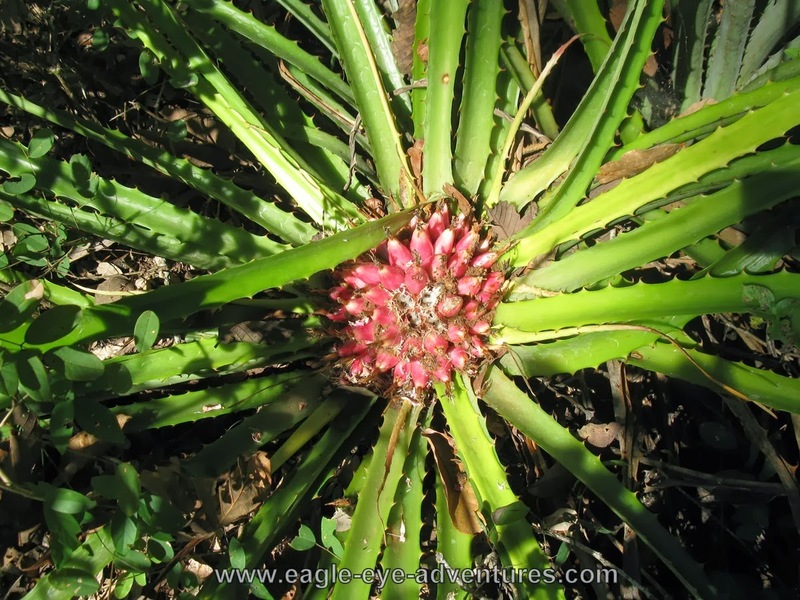 Here is a typical plant just starting to come into bloom. The leaves are starting to flatten and the color in the center of the leaves is starting to glow even from this angle! When they start to produce the flowers you can see the leaves that actually look to have a crease where the fold open so the pollinators can get in to the flowers. 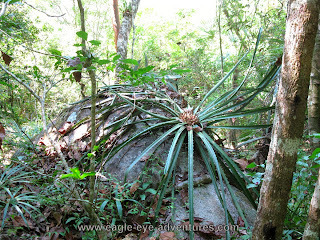 Here is a plant that is growing in an atypical fashion, in the smallest of cracks in this granite boulder! Clearly it was able to survive to bloom and produce fruit. 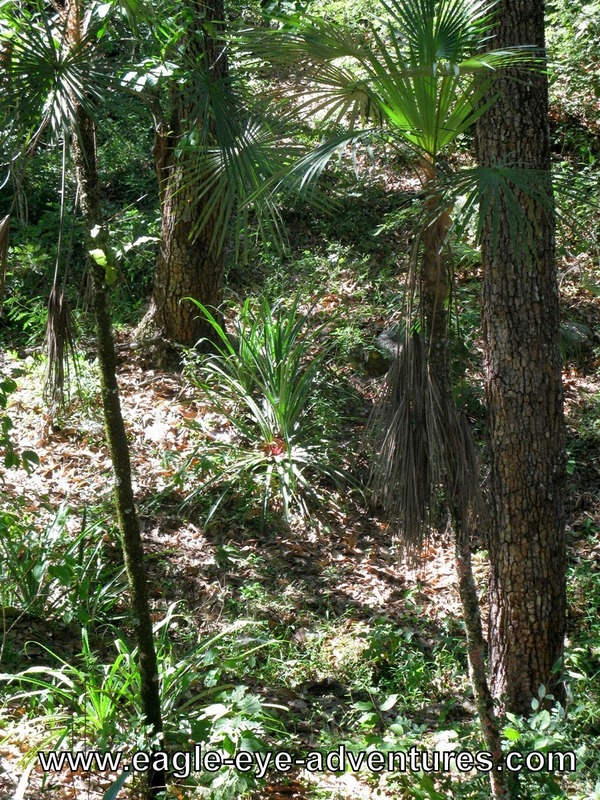 This is more typical of its growth habit with a bit of its surrounding habitat, open forest of oaks and palms (although they also grow in much more exposed areas as well). 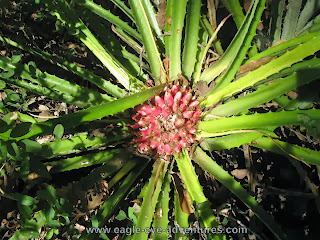 Well after the color fades from the flowering event, the fruit is produced and creates a nice secondary show. 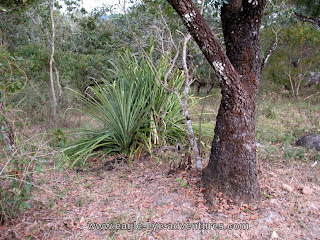 The fruit is tasty and eaten, locally called a 'piñuela'.